The rich beige high neck long top has a mid-slit from the part below the waist. The floral embroidery work enhances the look of the attire. There is embroidery design at the end of the sleeves. 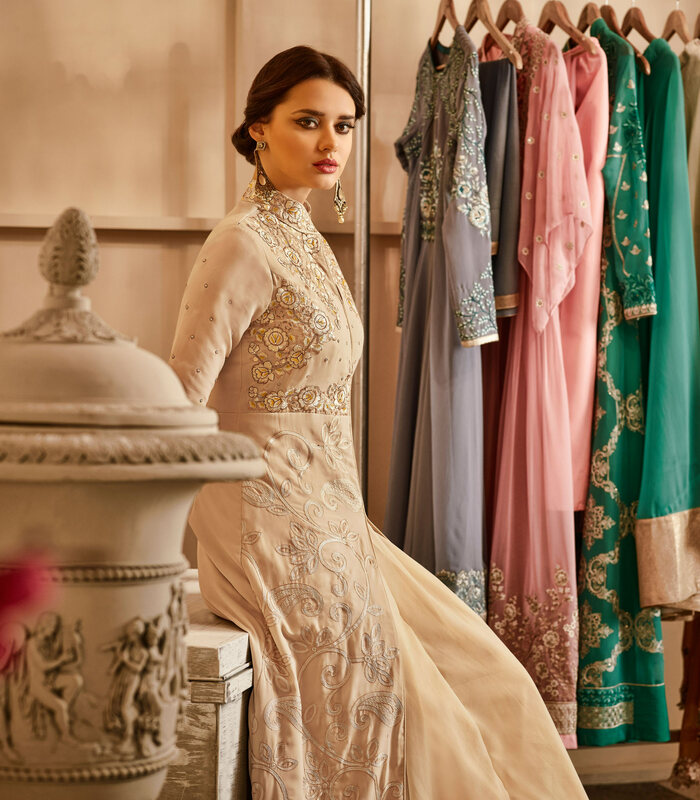 The top is of net with georgette lehenga and the dupatta is chiffon. You can buy this ethnic dress to wear for their upcoming functions and occasions. Team it with classy accessories to make your looks more beautiful. Length Chest upto 40 - 42 inches and length upto 40- 42inches.